The year 1905 was the second year of the massive Russo-Japanese War in which more than 100,000 died in the largest world battles of that era. That war’s chaos lead to a bloody revolution against Tsar Nicholas II (Shostakovich's 11th Symphony is subtitled "The Year 1905" to commemorate this). Canada and the US expanded west, with the delineation of the Alberta and Saskatchewan provinces and the founding of Las Vegas. 1905 was an extraordinary year for Albert Einstein, who published papers which lead the foundations for quantum physics, introduced the special theory of relativity, explained Brownian motion, and established mass-energy equivalence. 1905 was also a great year for German chemist, Adolph von Baeyer, the person who founded Bayer Chemicals Company, which is still a major manufacturer of analgesics (i.e., Bayer aspirin) and was criticized for many of its pesticides and fertilizers. In that year, von Baeyer won the Nobel Prize in chemistry for his work in creating the first barbiturate, barbituric acid, the precursor molecule for the drug class known as the barbiturates. Barbiturates are drugs that act as central nervous system depressants, and can, therefore, produce a wide spectrum of effects, from mild sedation to total anesthesia. They are also effective as anxiolytics, hypnotics, and anticonvulsants. Barbiturates have addiction potential, both physical and psychological. They have largely been replaced by benzodiazepines (e.g. alprazolam [Xanax®], diazepam [Valium®]) in routine medical practice – especially in the treatment of anxiety and insomnia, due to the significant decrease in risk of overdose and the lack of an antidote for barbiturate overdose. Despite this, barbiturates are still in use for various purposes: general anesthesia, epilepsy, treatment of acute migraines or cluster headaches, euthanasia, capital punishment, and assisted suicide. Barbituric acid itself does not have any direct effect on the central nervous system and chemists have derived over 2,500 compounds from it that possess pharmacologically active qualities. The broad class of barbiturates is further broken down and classified according to the speed of onset and duration of action. Ultra-short-acting barbiturates are commonly used for anesthesia because their extremely short duration of action allows for greater control. These properties allow clinicians to rapidly put a patient "under" in emergency surgery situations. Doctors can also bring a patient out of anesthesia just as quickly, should complications arise during surgery. The other two classes of barbiturates are short-acting, intermediate-acting, and long-acting (see Table). The long-acting barbiturates (the most notable one is phenobarbital, which has a half-life of roughly 92 hours) are used almost exclusively as anticonvulsants. Barbituric acid was first synthesized November 27, 1864, by German chemist Adolf von Baeyer. This was done by condensing urea (an animal waste product) with diethyl malonate (an ester derived from the acid of apples). There are several stories about how the substance got its name. The most likely tale is that Baeyer and his colleagues went to celebrate their discovery on December 4, 1864 in a tavern where the town's artillery garrisons were also celebrating the feast of Saint Barbara – the patron saint of artillerymen. An artillery officer is said to have christened the new substance by amalgamating Barbara with urea. Another story holds that Baeyer synthesized the substance from the collected urine of a Munich waitress named Barbara. No real medical use for barbituric was found, however, until 1903 when two German scientists working at Bayer, Emil Fischer and Joseph von Mering, discovered that its derivative, barbital, was very effective in euthanizing dogs. Barbital was then marketed by Bayer under the trade name Veronal. Supposedly, Mering proposed this name because the most peaceful place he knew was the Italian city of Verona. It was not until the 1950s that the potential for behavioral disturbances and physical dependence of barbiturates became recognized. Barbiturates are addictive. People who use them become physically dependent on them. Suddenly stopping them (withdrawal) can be life-threatening. Tolerance to the mood-altering effects of barbiturates develops rapidly with repeated use. But, tolerance to the lethal effects develops more slowly, and the risk of severe poisoning increases with continued use. During World War II, military personnel in the Pacific region were given barbiturates, otherwise known as "goofballs", to allow them to tolerate the jungle heat and humidity of daily working conditions. Goofballs were distributed to reduce the demand on the respiratory system, as well as to maintain blood pressure and to combat the extreme conditions. Many soldiers returned with addictions that required several months of rehabilitation before discharge. This led to growing dependency problems, often exacerbated by indifferent doctors prescribing high doses to unknowing patients through the 1950s and 1960s. In the late 1950s and 1960s, increasing published reports of barbiturate overdoses and dependence problems led physicians to cut back their prescriptions, particularly for bogus requests. 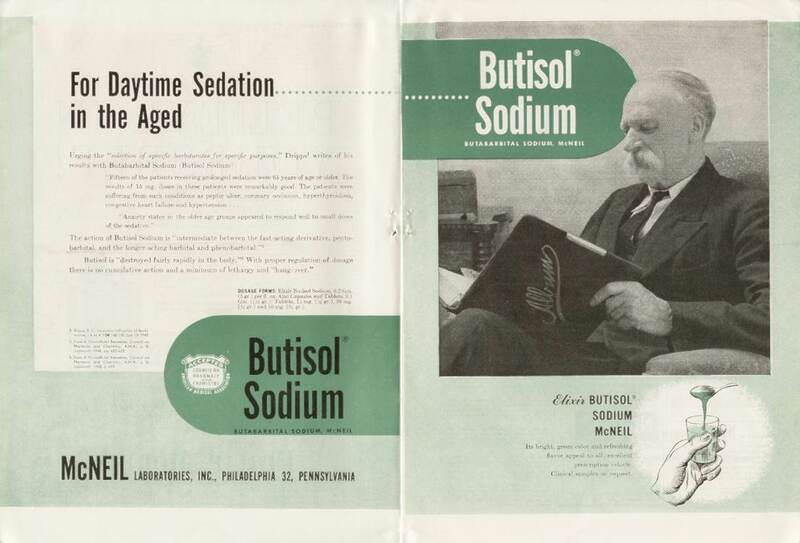 This eventually led to the scheduling of barbiturates as controlled drugs. In the United States, the Controlled Substances Act (CSA) of 1970 classified most barbiturates as controlled substances—and they remain so as of 2016. Barbital, methylphenobarbital (also known as mephobarbital), and phenobarbital are designated schedule IV drugs, and "Any substance which contains any quantity of a derivative of barbituric acid, or any salt of a derivative of barbituric acid," that is, all other barbiturates, were assigned to the more strict schedule III. Under the original CSA, no barbiturates were placed in schedule I, II, or V, however, amobarbital, pentobarbital, and secobarbital are schedule II controlled substances unless they are in a suppository dosage form. The combination medication Fioricet®, consisting of butalbital, caffeine, and acetaminophen, however, is specifically exempted from controlled substance status; its sibling Fiorinal®, which contains aspirin instead of acetaminophen and may contain codeine phosphate, remains a schedule III drug, principally because of the codeine. Combining alcohol with barbiturates is ill-advised, and can result in an overdose and sudden death. Both substances are depressants that produce the exact same type of intoxication. Combining the two multiplies the intoxication level and the potential side effects, including an increase in the likelihood of heart or respiratory failure and of the development of a fatal seizure-related condition called delirium tremens. Since both act as sedatives that reduce heart rate and respiration, it is very easy to reach the point where the user suddenly stops breathing altogether. Because barbiturates and alcohol create the exact same type of intoxication, the user may not realize that the side effects have progressed past the point of safety. An overdose is much more likely when both drugs are abused at the same time. Sodium thiopental is an ultra-short-acting barbiturate and has been used commonly in the induction phase of general anesthesia. 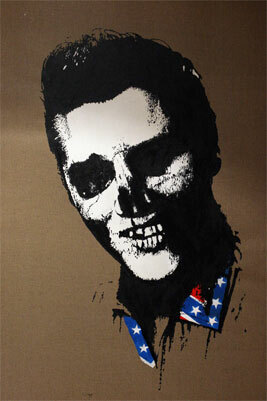 Its use has been largely replaced with that of propofol, the drug that killed Michael Jackson. Following intravenous injection, the drug rapidly reaches the brain and causes unconsciousness within 30–45 seconds. At one minute, the drug attains a peak concentration of about 60% of the total dose in the brain. Thereafter, the drug distributes to the rest of the body, and in about 5–10 minutes the concentration is low enough in the brain that consciousness returns. A normal dose of sodium thiopental (usually 4–6 mg/kg) given to a pregnant woman for operative delivery (caesarian section) rapidly makes her unconscious, but the baby in her uterus remains conscious. However, larger or repeated doses can depress the baby. Sodium thiopental is used intravenously for the purposes of euthanasia. In both Belgium and the Netherlands, where active euthanasia is allowed by law, the standard protocol recommends sodium thiopental as the ideal agent to induce coma, followed by pancuronium bromide. Intravenous administration is the most reliable and rapid way to accomplish euthanasia. A coma is first induced by intravenous administration of 20 mg/kg thiopental sodium in a small volume (10 ml normal saline). Then, a triple dose of a non-depolarizing neuromuscular blocking drug is given, such as 20 mg pancuronium bromide or 20 mg vecuronium bromide. The muscle relaxant should be given intravenously to ensure optimal availability but pancuronium bromide may be administered intramuscularly at an increased dosage level of 40 mg.
Thiopental is still used in some places as a truth serum to weaken the resolve of a subject and make them more compliant to pressure. As a class, the barbiturates decrease higher cortical brain functioning. Psychiatrists hypothesize that because lying is more complex than telling the truth, suppression of the higher cortical functions may lead to the uncovering of the truth. The drug tends to make subjects loquacious and cooperative with interrogators; however, the reliability of confessions made under thiopental is questionable. Sodium thiopental is featured as a truth serum in several Hollywood films, in comics and other literature, and even in popular music. Psychiatrists have used thiopental to desensitize patients with phobias, and to "facilitate the recall of painful repressed memories." One psychiatrist who worked with thiopental is the Dutch Professor Jan Bastiaans, who used this procedure to help relieve trauma in surviving victims of the Holocaust. People who are known to have committed suicide via a barbiturate overdose include actors Charles Boyer, Carole Landis, Margeaux Hemingway, and Jean Seberg, political activist Abbie Hoffman, and mathematicians Felix Hausdorff and C. P. Ramanujam. Others who have died as a result of barbiturate overdose include actresses Judy Garland, Marilyn Monroe, Inger Stevens, TV personality and journalist Dorothy Kilgallen, Beatles manager Brian Epstein, guitarist Jimi Hendrix, and socialite Edie Sedgwick. In some cases these have been speculated to be suicides as well; singer/actress Dorothy Dandridge died of either an overdose or an unrelated embolism. The mysterious death of Hollywood goddess Marilyn Monroe ruled officially as a ”probable suicide” by “acute barbiturate poisoning” at her home in the affluent suburb of Brentwood, Los Angeles in August 1962 has long been shrouded in conspiracy theories. However, in 2014, two investigative journalists claimed in their book that her demise was orchestrated by Bobby Kennedy, the US attorney general and younger brother of John F. Kennedy, according to the British newspaper the Daily Mail. Jay Margolis, a long-time investigative reporter and Monroe expert, and Richard Buskin, a New York Times bestselling author of 30 non-fiction books, claim in their new book, entitled The Murder of Marilyn Monroe: Case Closed, that Bobby Kennedy silenced her as she was about to reveal all Kennedy family secrets she had written in a little red diary. Allegedly, Marilyn was about to spill the beans on her affairs with JFK and RFK. According to the book, Bobby’s co-conspirators were his brother-in-law, actor Peter Lawford, and Monroe’s psychiatrist, Dr. Ralph Greenson who gave the star a fatal injection of pentobarbital to the heart. These are just a few of the street names given to the barbiturate. Some are specific to the type of barbiturate. 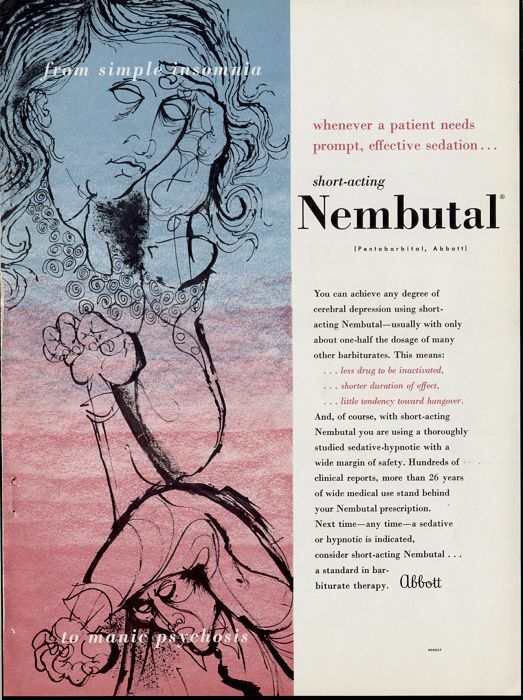 For example, “yellow jackets” refer to Nembutal® because of the capsule color. Barbiturate use and abuse have declined dramatically since the 1970s, mainly because a safer group of sedative-hypnotics called benzodiazepines is being prescribed. Benzodiazepine use has largely replaced barbiturates in the medical profession, with the exception of a few specific indications, such as phenobarbital for seizures. Doctors are prescribing barbiturates less, and the illegal use of barbiturates has also substantially declined, although barbiturate abuse among teenagers may be on the rise compared with the early 1990s. Addiction to barbiturates, however, is uncommon today.